Our 5oz cotton bag GJCOTT is made of the highest quality, light-weight natural cotton fibres, making it the perfect light but durable tote bag when you’re on the move. Use our screen printing service to add your own branding to the bag, forming a great product to giveaway at events to extend your brands reach! Looking to print detailed fine artwork? Look no further! the tighter weave in our cotton bags can hold the finest of detail with ease. 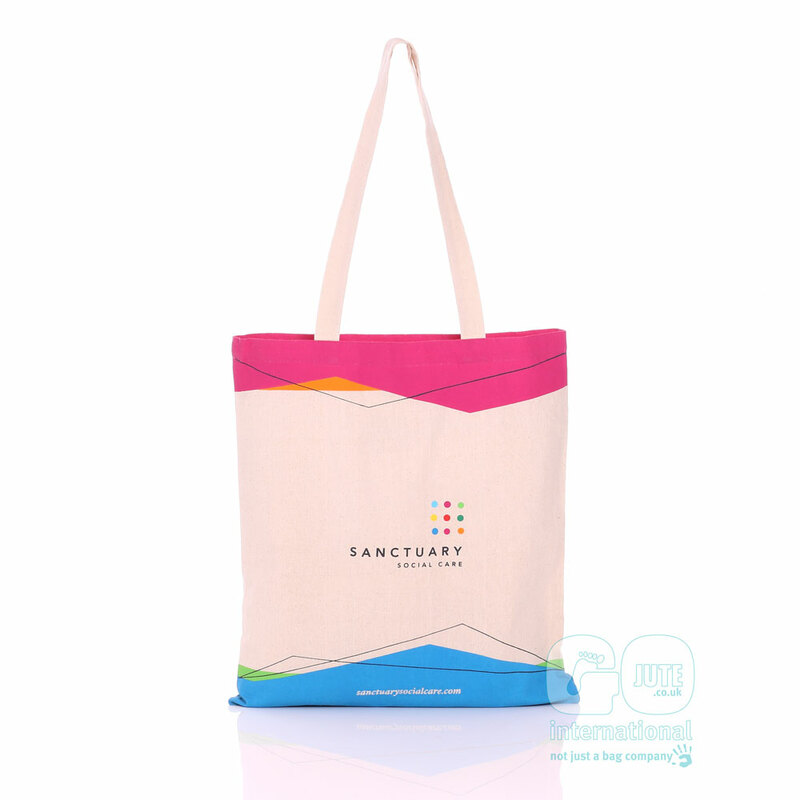 At their events, Sanctuary Apprenticeships give out these colourful cotton tote bags to their visitors. This is the ideal opportunity to offer your visitors something useful while also spreading your brand throughout the event and back into peoples homes. Get inspired by our Case Studies!